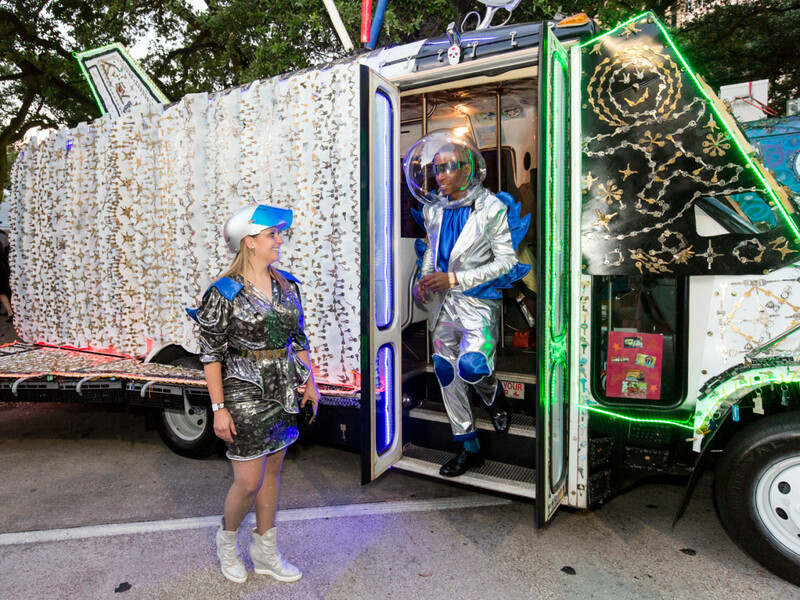 The Legendary Art Car Ball, deemed one of the wildest parties in Houston, brought together outrageous costumes and a close look at some of the most amazing, colorful and artistic cars at Hermann Square surrounding the reflection pool at City Hall on Friday night in advance of the 30th Annual Houston Art Car Parade, presented by the Orange Show Center For Visionary Art in downtown Houston on Saturday. 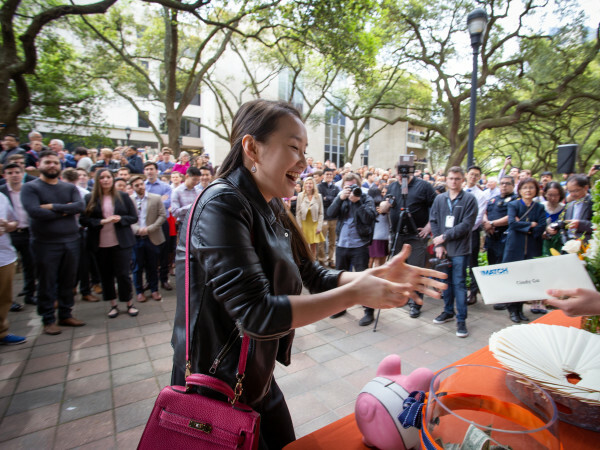 Here are some scenes from the legendary party. Bayou City Burlesque performers entertained around the City Hall reflection pool during the Legendary Art Car Ball. 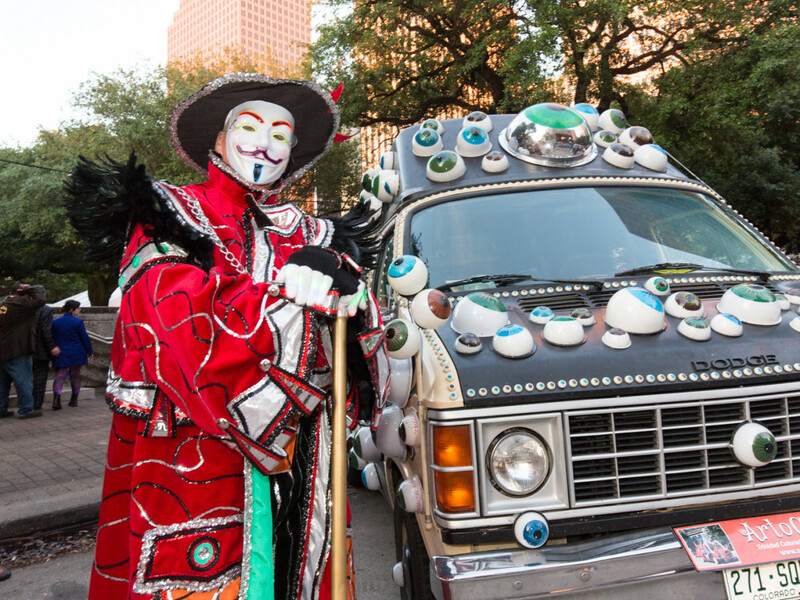 The Earl of ArtoCade, Pat Patrick, from Trinidad, Colorado, poses with his EyeVan at the Legendary Art Car Ball. Cara Boynton and Rickie Polidore, faculty members at E.O Lovett Elementary Fine Arts Magnet School, pose with "5-4-KEY-2-1", designed by K-5 students, at the Legendary Art Call Ball. 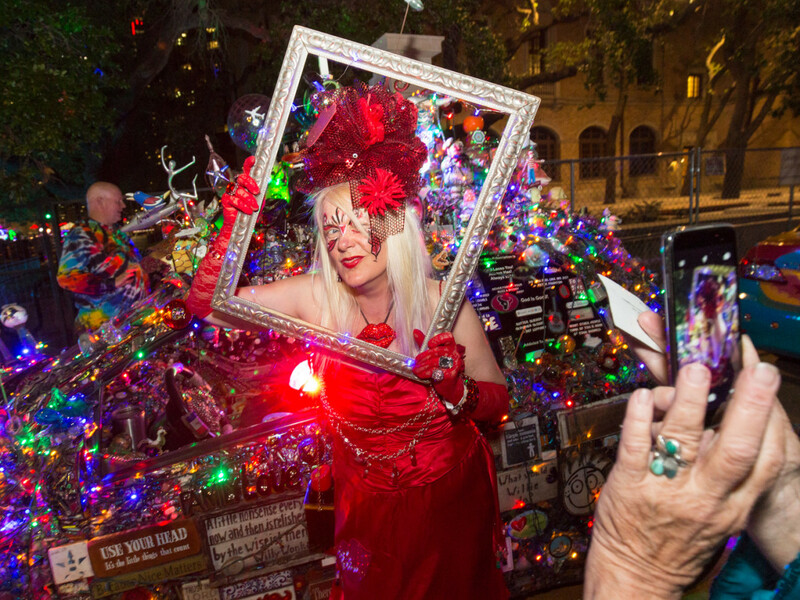 Patti Paulson of Minnesota, owner of the "Lipstick Car," has her picture taken in a frame during the Legendary Art Car Ball. 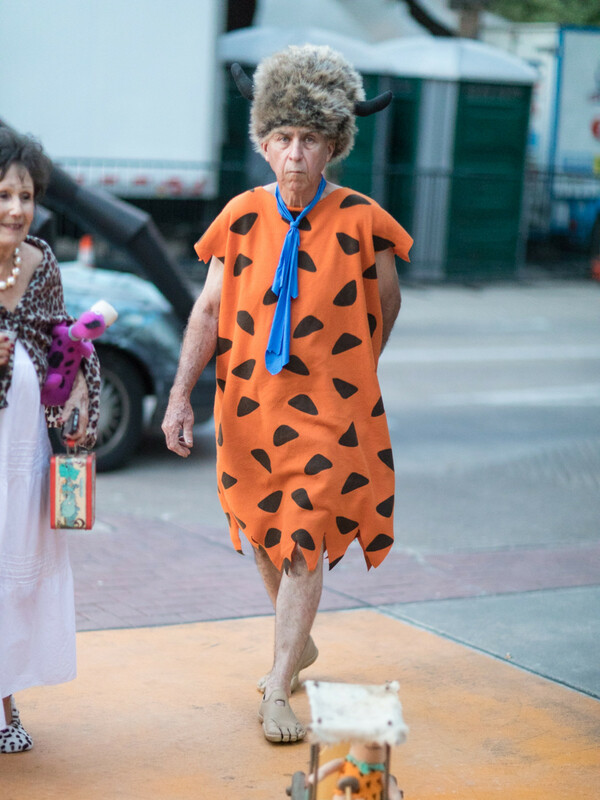 The Grand Poobah of the Loyal Order of Water Buffaloes follows a miniature version of Fred Flintstone driving his prehistoric car during the Legendary Art Car Ball. 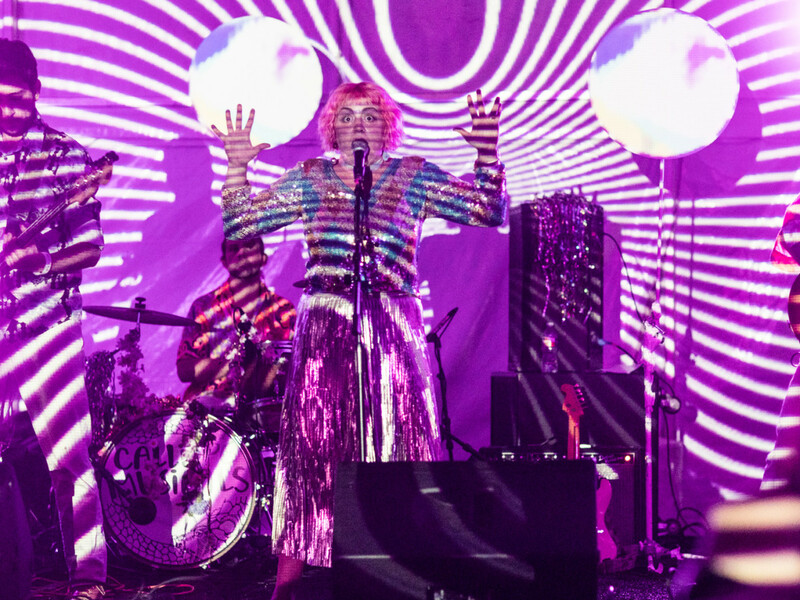 The critically acclaimed Austin-based six-piece psychedelic band Calliope Musicals rocked The Legendary Art Car Ball, as well as Houston's own SoulDig supergroup, which also performed. 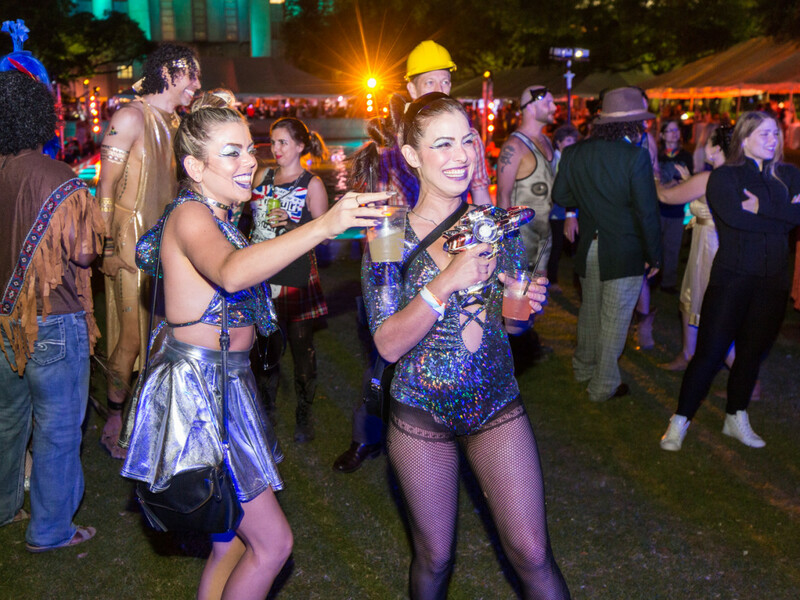 Partygoers danced to Calliope Musicals, who rocked the Legendary Art Car Ball stage. 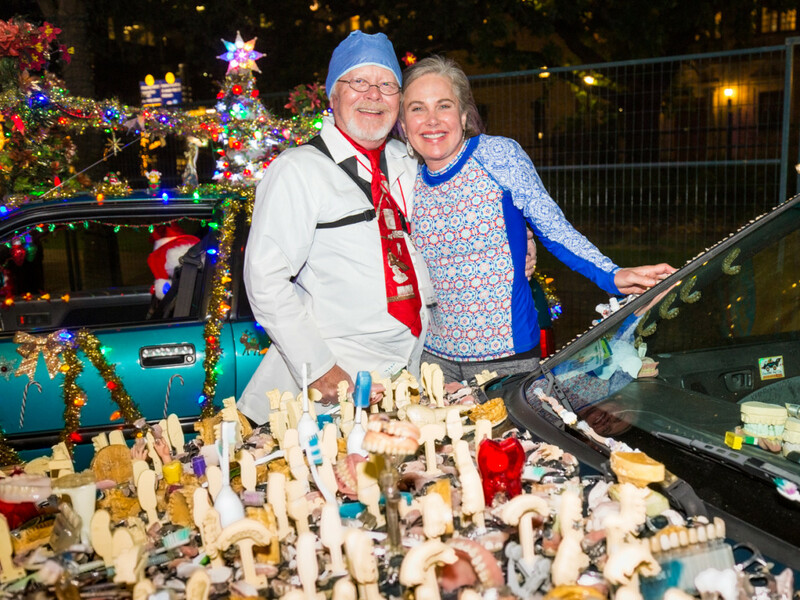 Rex Rosenberg of Great Bend, Kansas, brought his entry "Chew Baru" and posed with Houston dentist Kathleen Collins during The Legendary Art Car Ball. 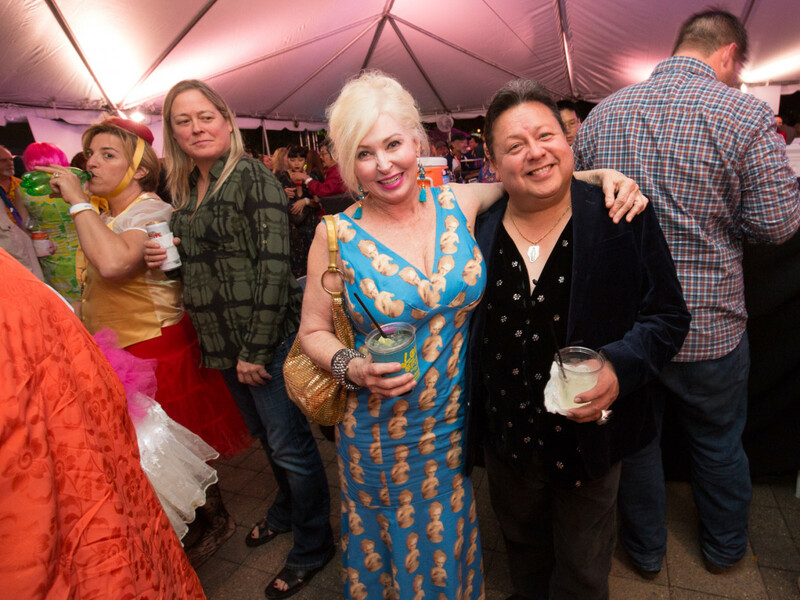 Jackie Harris, whose 1967 Ford station wagon "The Fruitmobile” is often credited for starting the art-car phenomenon while appearing in the first official Art Car Parade in 1988, poses with Eduardo Lopez de Casas at The Legendary Art Car Ball. A mermaid and unicorn floats past some swimmers from Bayou City Burlesque performing in the City Hall reflection pool during The Legendary Art Car Ball. 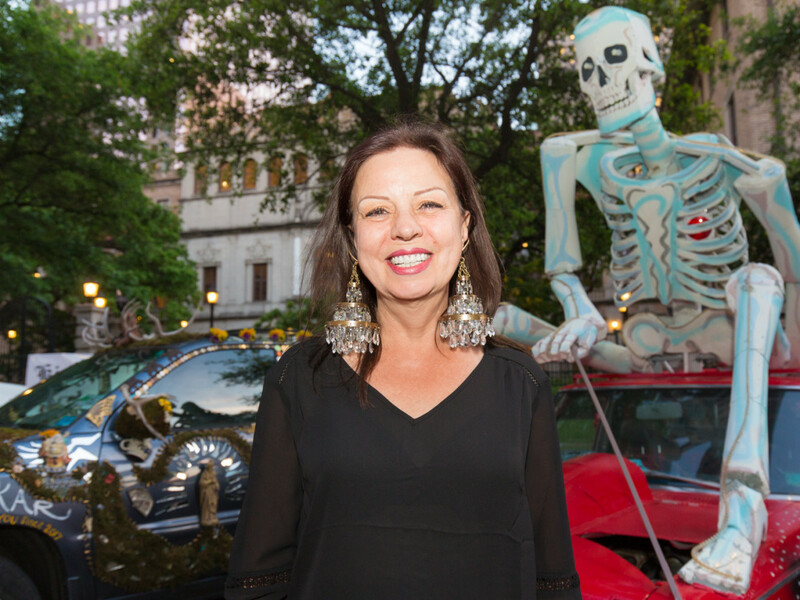 Audrey Crowson of Houston, wearing chandelier earrings, poses in from of a skeleton riding atop an art car at The Legendary Art Car Ball.